USANA Australia is proud to announce that we have won two categories at this year’s Australian Business Awards for Best Cloud Product – The Hub and Best New Product – Berry NuttyTM Nutrition Bar. USANA Australia General Manager Geoff Watt said to win Best Cloud Product for The Hub is an honour. 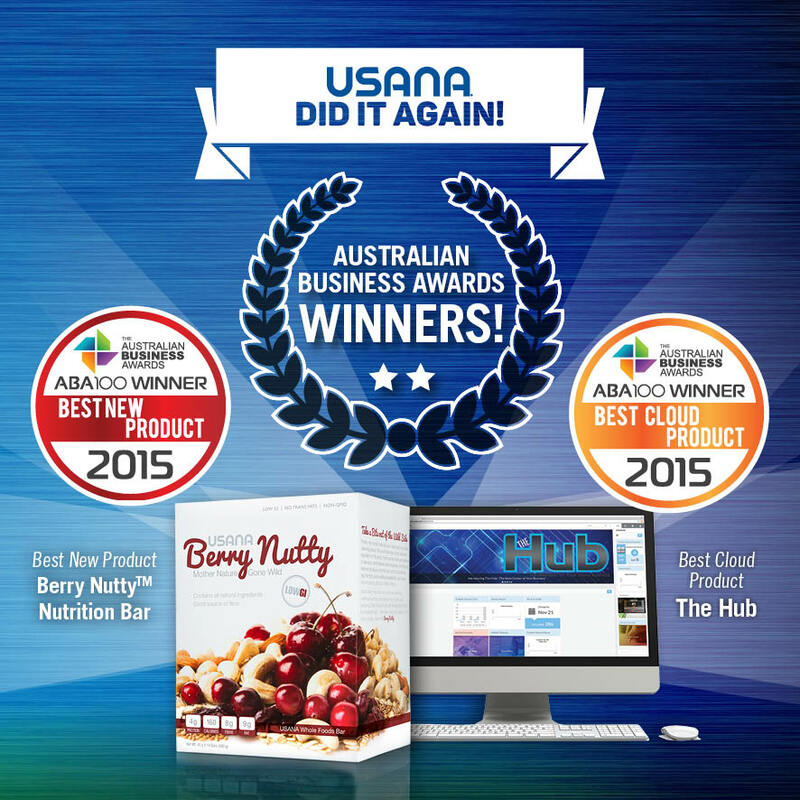 He said USANA Australia was also overjoyed to be recognised as Best New Product for the Berry Nutty Nutrition Bar. For more information about USANA Australia visit www.usana.com.